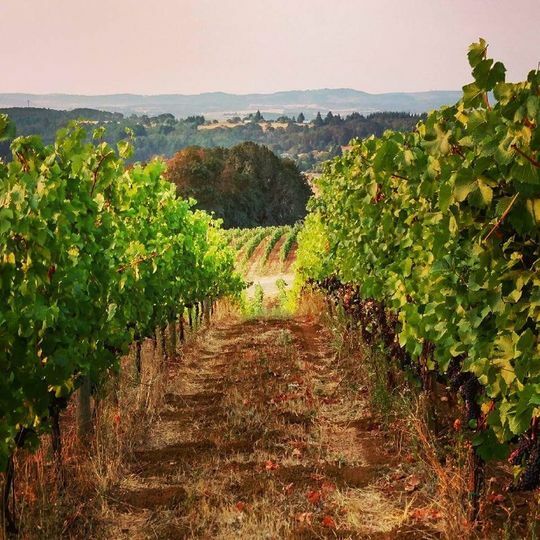 A rustic vineyard located just outside of McMinnville, Oregon in the Portland Region. 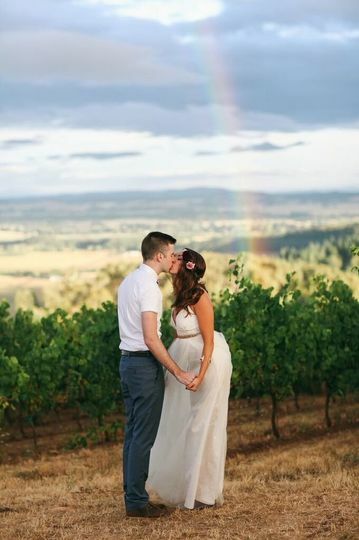 J Wrigley Vineyards is a picturesque setting to celebrate your wedding day. 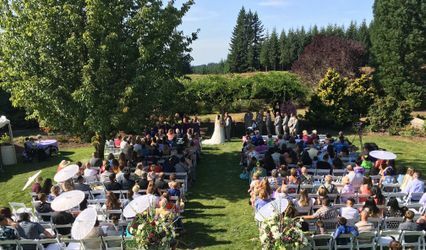 The vineyard is located in the Willamette Valley and is perfect for the couple with casual roots and an adventurous spirit. 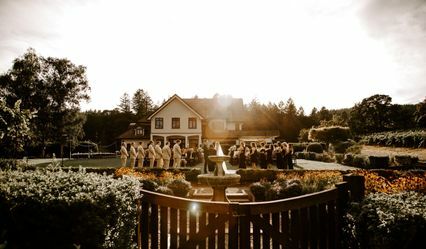 The property owners and staff are passionate about making your special day perfect and will work with you or your wedding planner to help create the wedding of your dreams. 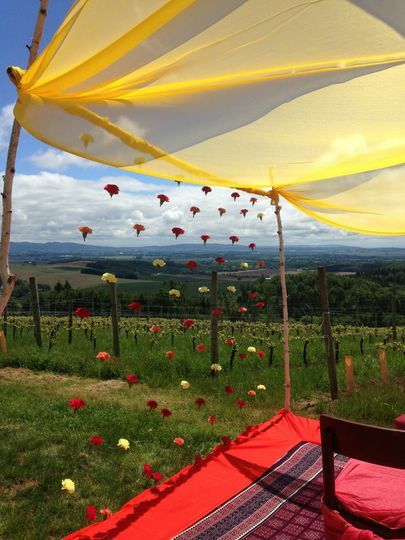 The vineyard is 200 acres in size and offers an indoor or outdoor setting. 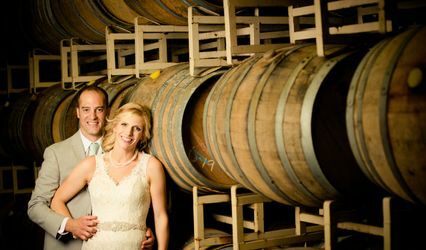 J Wrigley Vineyards can accommodate anywhere between 25 and 200 guests. 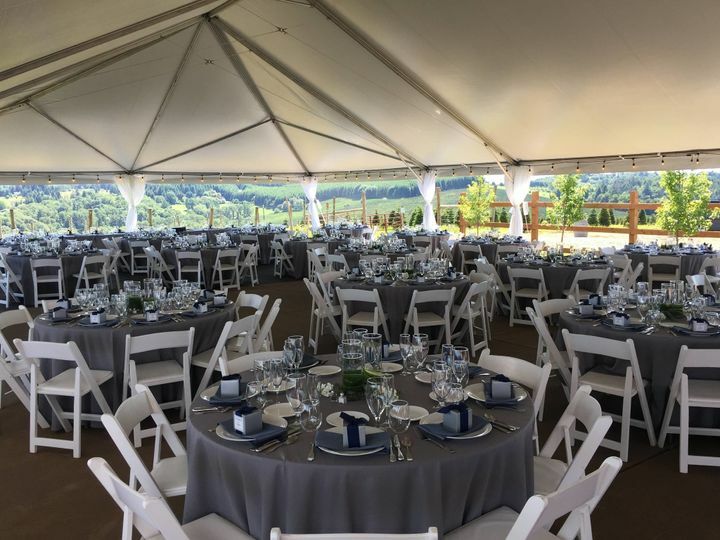 There are four different event spaces with styles that can be described as elegant, outdoorsy and rustic. We just got married at J Wrigley, and couldn't be more thrilled with the service that we received. Jody and her husband John truly care about the couples that they work with, and go above and beyond to provide the highest level of service. I planned our wedding from the east coast, and once we decided to work with J Wrigley, I didn't have to worry about finding any other great vendors. Jody's got an amazing network of resources for caterers, photographers, florists, djs, and shuttle buses, to name a few. The property is beautiful and vast, so we didn't have to worry about being too loud for neighbors, or having unwanted guests wander in. 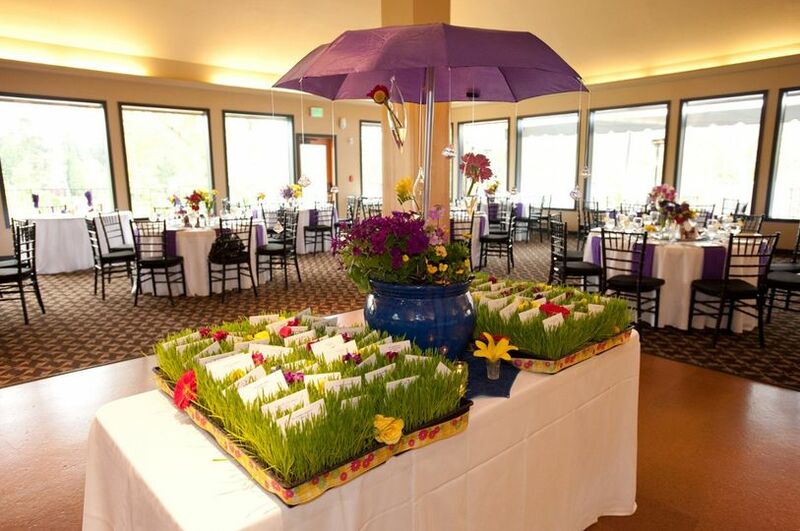 Jody's day-of team is responsive and willing to do whatever we needed for decor, set-up and tear-down, prepping snacks for guests before the caterer served his dinner. Everyone on the team was willing to meet the week before, no matter how many times I needed, to make sure that everyone knew what I wanted. I had such a great experience working with Jody and John! Looking forward to spending time with you and for families for years to come! 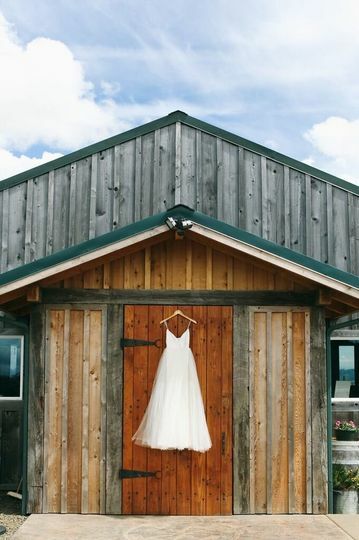 You can't go wrong with this Wedding Venue! From the minute we stepped onto the Vineyard and met the owners we knew this had to be the place. 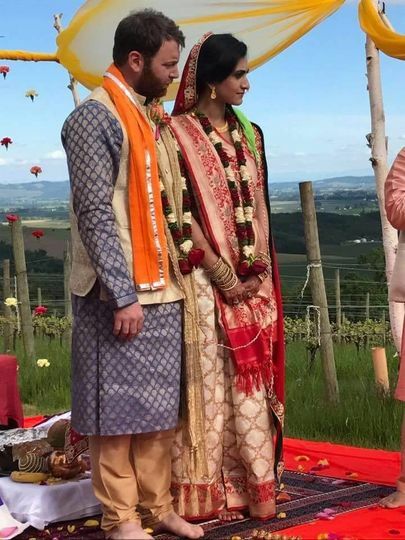 They were helpful all along the way with the tent rental to the selection of the local Chef who is schooled in San Francisco. They made last minute arrangements to have a horse drawn Cinderella drawn biggie to deliver us to our alter. We had a 17 piece brass band with a beautiful singer as our entertainment. Everything came together like it was well planned. AND it was with the help of Jody Wrigley. This by far was our wedding dream come true! Nothing could have made it better. 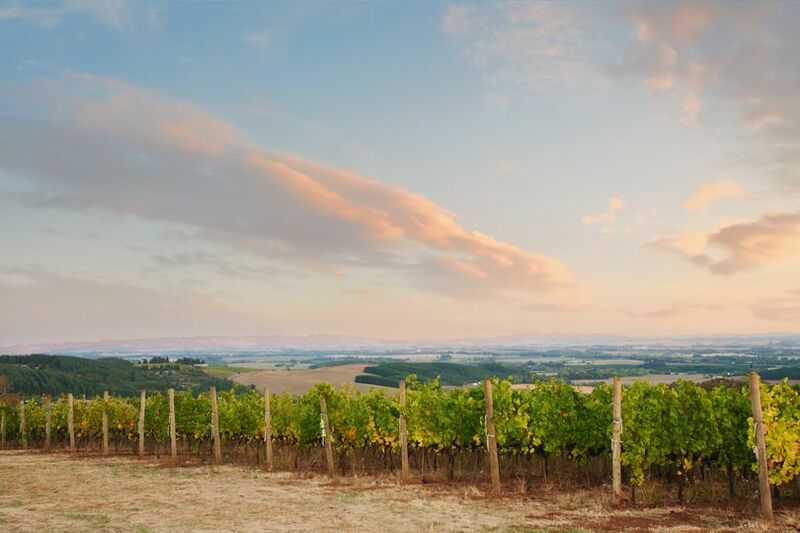 We love this place and pay regular visits just to enjoy the views and the wines. Last but not least, their wines are hand crafted by John Wrigley... the best! 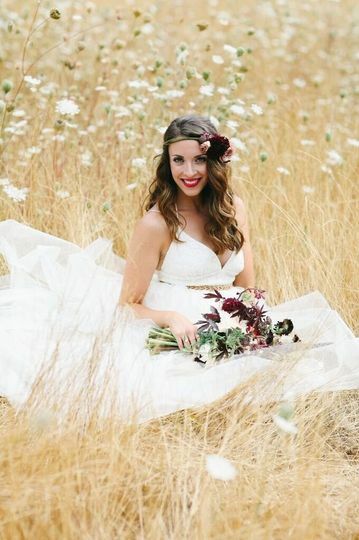 If you are dreaming of a vineyard wedding in Oregon, you MUST look at J Wrigley. The vineyard is stunning. But beyond the beauty of the space, one of the most important things to us in a venue was flexibility. Jody, the co-owner and wedding liaison, was a dream to work with. She was extremely responsive to emails, and commonly answered questions with: "Sure!" Our friends and family loved the wine, loved the vines, and couldn't get over this little gem in the Willamette Valley. 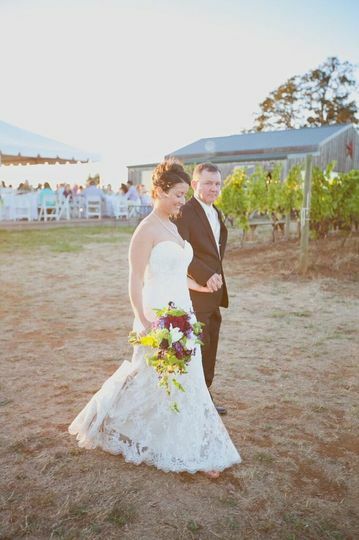 J Wrigley Vineyards is one of our favorite Venues to hold Wedding and Reception&apos;s at. the spectacular views of the Valley below are exceptional. There staff is always looking to make you feel welcome.